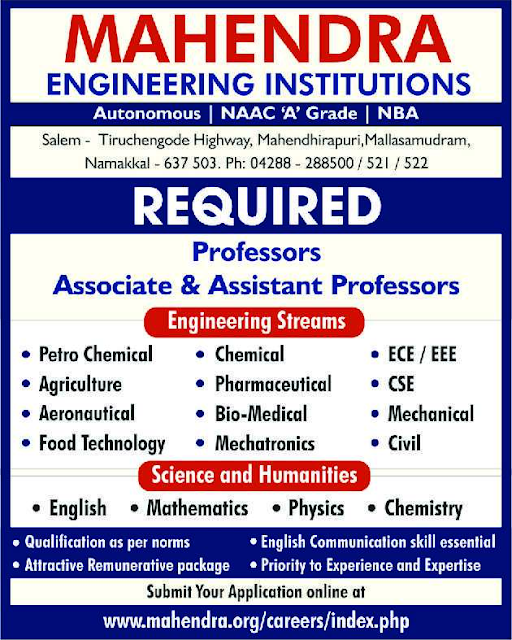 Mahendra Engineering Institutions, Namakkal has advertised in THE HINDU newspaper for recruitment of Professor / Associate Professor / Assistant Professor jobs vacancies. Interested and eligible job aspirants are requested to apply immediately from 17th April 2019. Check out further more details below. About College: Mahendra Engineering College is the founding Engineering Institution of Mahendra Educational Trust (MET). The College was started in 1995 with three branches of engineering, namely B.E.Computer Science Engineering, B.E. Electronics and Communication Engineering and B.E. Mechanical Engineering, approved by AICTE and affiliated to the University of Madras. 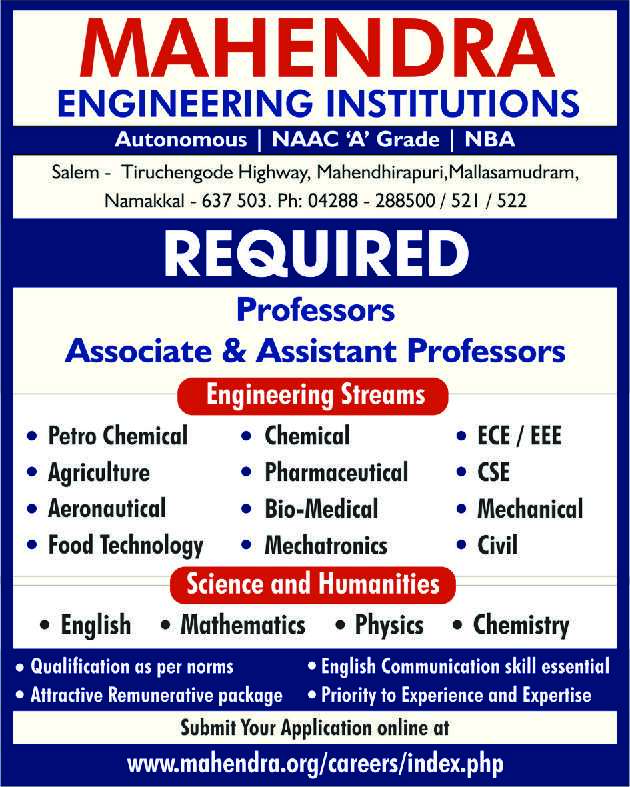 Today, the College offers several Undergraduate and Postgraduate programmes in Engineering, Computer Applications and Applied Sciences. The Students strength has grown from 180 in 1995 to about 2500 in 2008. The College is now affiliated to Anna University, Coimbatore. The total built-up area of the present infrastructural facility is 31,970 sq.m.